Monster Energy Supercross – The Official Videogame is now available on PS4, Xbox One, PC (Steam) and the Nintendo Switch. In the game, fans can race the official 2017 Monster Energy Supercross Season with official bikes, tracks and racers. 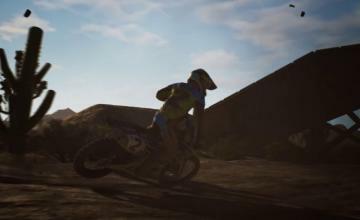 They can also play career mode, which allows for customization of riders and bikes. Players can also use the track editor to create their own custom tracks, race on them and share them online. T Season Pass, which is also available for purchase, will allow access to additional, exclusive content, including 5 DLC (3 of which are available now). 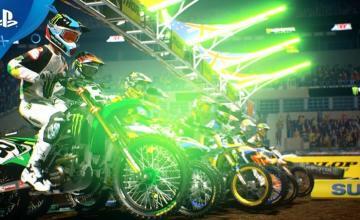 To find out how to win a copy of Monster Energy Supercross – The Official Video Game for free, visit our Giveaway now! For full details on the game, check out the press release below. Finally, it’s your moment to challenge the best and show the world what you can do! 13 February 2018 – The time has come: Monster Energy Supercross – The Official Videogame is now available in stores and on digital for PlayStation®4, Xbox One, Windows PC®/STEAM, and Nintendo Switch™. · The Credit Multiplier DLC. · Compound, a training space with two new tracks for players to train on Supercross and Motocross circuits. 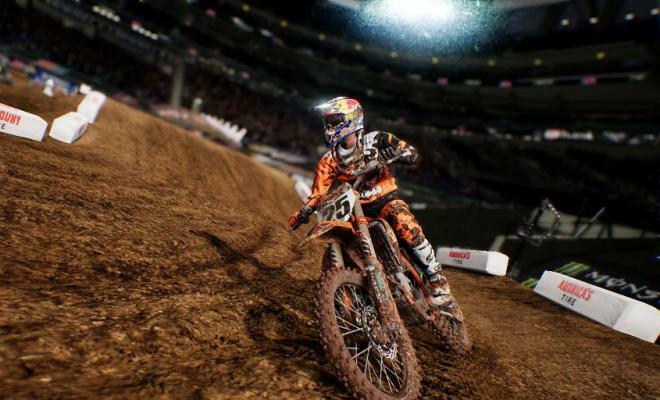 Featuring innovative track designs and set inside recognizable and prestigious stadiums, Monster Energy Supercross – The Official Videogame is the most realistic and immersive Supercross fan experience. · A powerful track editor, for endless gameplay possibilities. Thanks to the track editor, players can create their own custom tracks, race on them and share them online. Once uploaded on the server, users can “like” other gamers’ creations, vote for their favourite tracks and increase the prestige of the track designer. 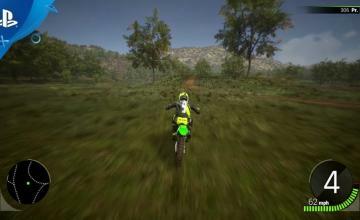 · Online modes, with Multiplayer up to 12 players who can ride on both official and custom tracks. The track editor and online modes will only be available on PlayStation®4, Xbox One and Windows PC®/STEAM. The Supercross Championship is also on mobile platforms, with the app Monster Energy Supercross Game, available on iOS since 9 February. ← Previous Story Monster Energy Supercross – The Official Game Giveaway! Enter to Win!